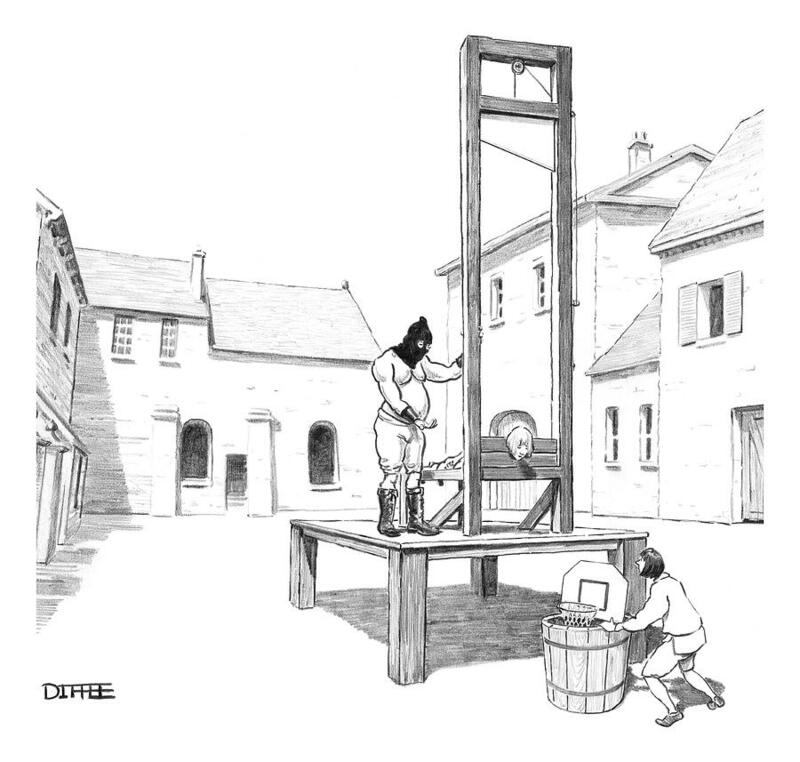 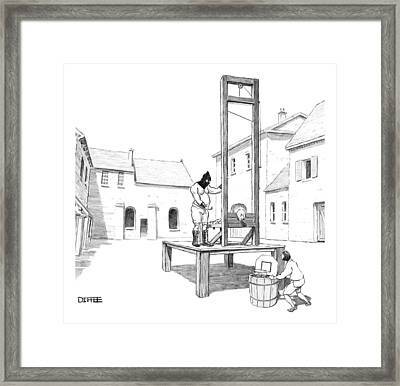 A Basketball Hoop Is Placed Under A Guillotine is a drawing by Matthew Diffee which was uploaded on August 16th, 2016. 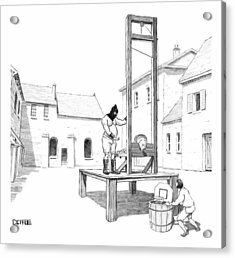 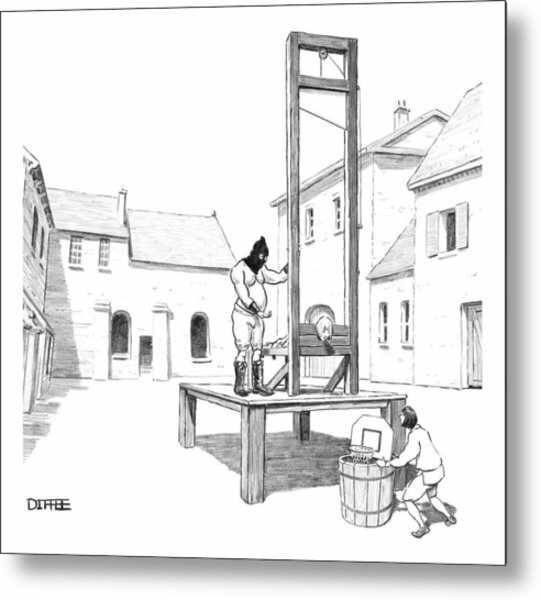 Description: A basketball hoop is placed under a guillotine to catch the victim's head. 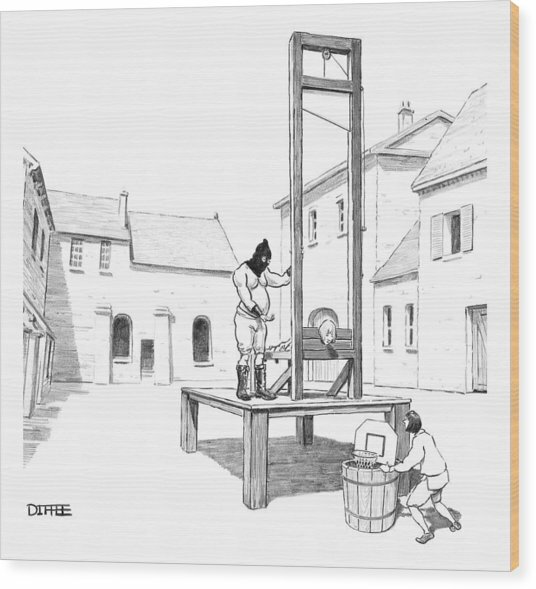 There are no comments for A Basketball Hoop Is Placed Under A Guillotine. Click here to post the first comment.